From the perspective of wealth management, the most important aspect of dividing property in divorce is usually the treatment of your non-qualified and retirement assets. 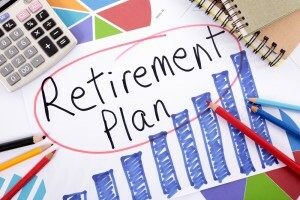 It is a big mistake for couples to divide traditional retirement assets down the middle, so you need to be careful about taking a more thoughtful approach that considers the realities of your life after divorce as well as potential instances that could impact the division of these assets such as one spouse passing away before the alternate payee begins to receive retirement benefits. Anticipating and minimizing tax liabilities from cash distributions. Determining how the pension plan will be divided. Dividing tax basis for contributions made after taxes for defined contribution plans. Prorating contributions to defined contribution plans via the divorce date regardless of the contribution timing. For non-qualified, non-divisible retirement plans including a formula to allocate future payment tax consequences. Consulting with a knowledgeable attorney can help you understand the financial implications of dividing retirement plans in divorce. It is a good time to set up a meeting with your New Jersey estate planning attorney so that you can be prepared for your future. Post-divorce, there’s a good chance you need to update your forms and information.